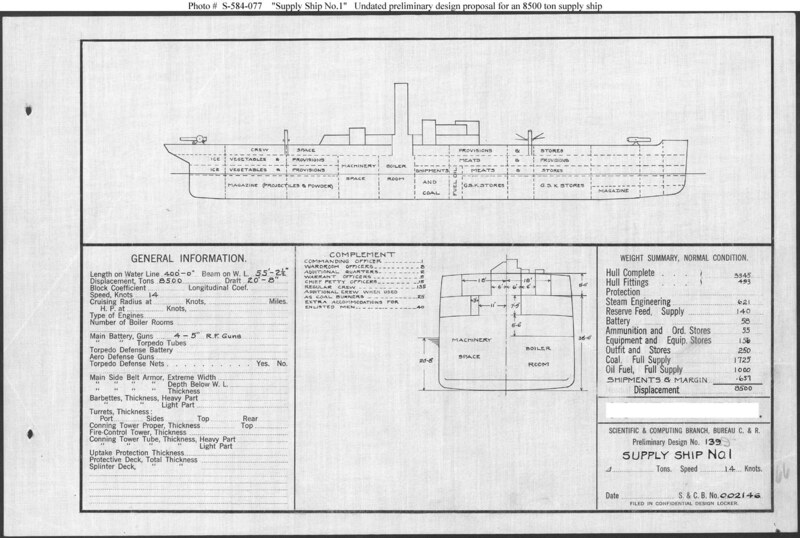 Undated design plan for Supply Ship # 1 prepared during early 1915 in support of planning for ships that might be built in Fiscal Year 1917. This drawing reflects the concept selected for construction of the Bridge (Supply Ship # 1), funded in Fiscal Year 1913 and completed in 1917. 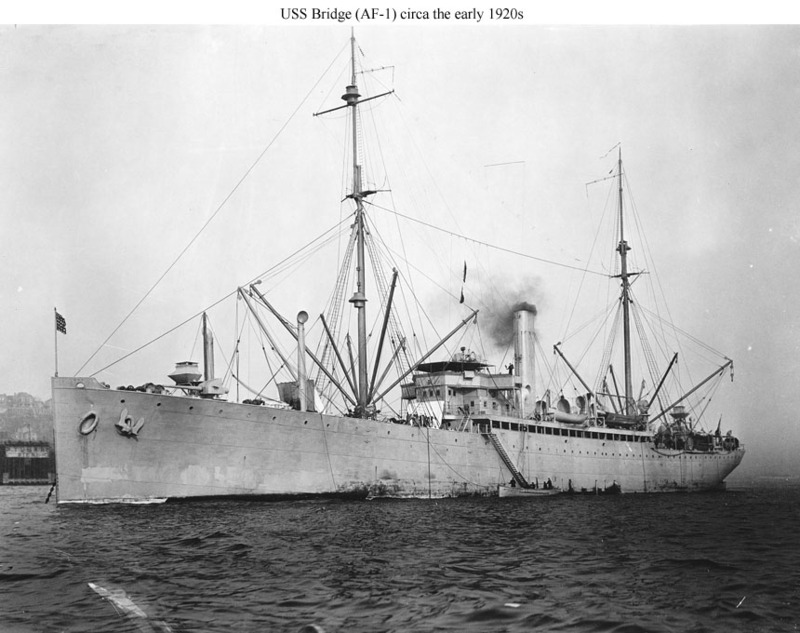 Bridge was designed to support deployed naval forces. 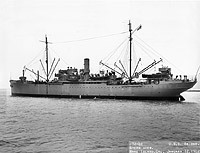 Total cargo carrying capacity was roughly 2,300 tons, including provision for carrying 500 tons of ammunition (12-inch and 5-inch projectiles and powder) as well as provisions for 8,000 men for 60 days. 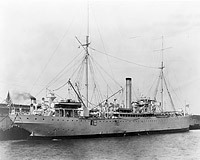 No additional ships of this class were built, however. 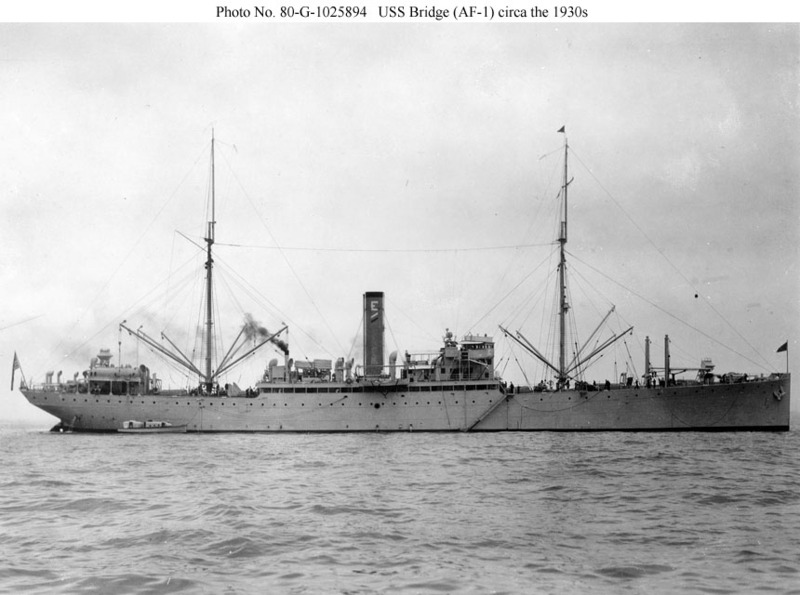 This plan provides four 5-inch guns and a speed of 14 knots in a ship 400 feet long on the water line, 55 feet 2-1/2 inches in beam, with a normal displacement of 8,500 tons. The original plan is in the 1911-1925 "Spring Styles Book" of the Bureau of Construction & Repair. Source: U.S. 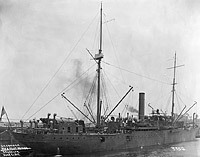 Naval History and Heritage Command (from the Online Library). 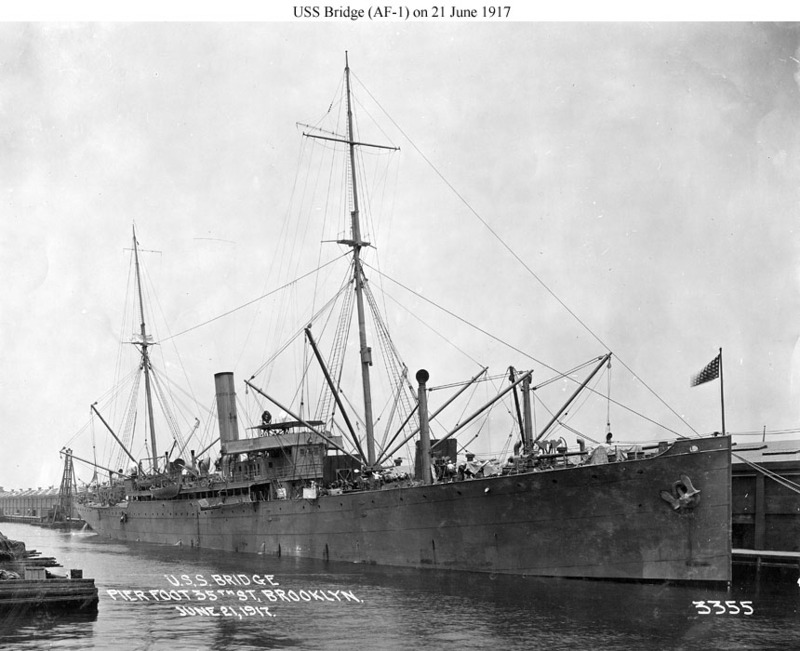 At Brooklyn, New York, on 21 June 1917 just after commissioning. 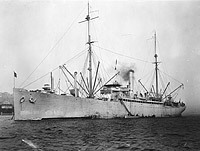 The ship was built with a low enclosed pilot house with an open bridge on top. Note the two open cargo hatches forward and the two 5"/50 guns without shields. 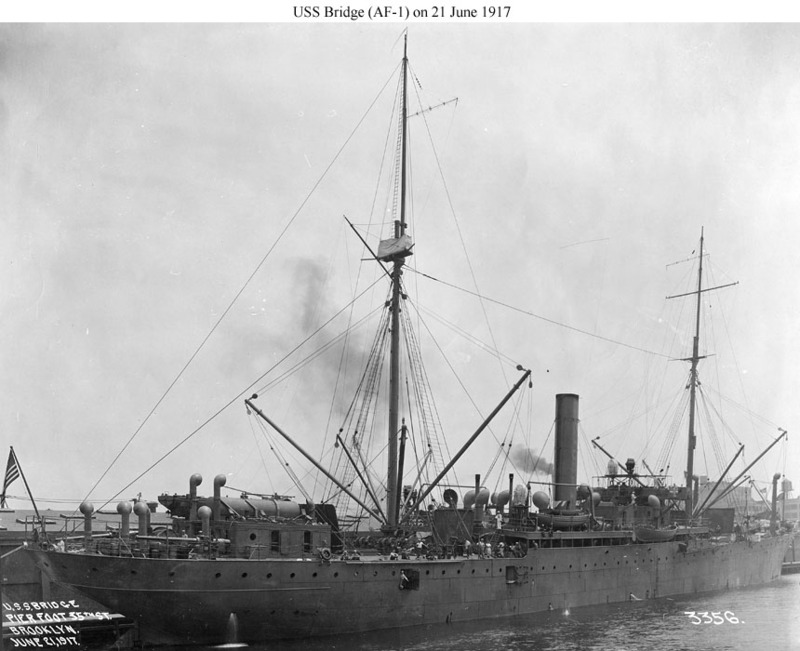 Note the small deckhouse aft with the two boats on top and the two 5"/50 guns without shields on the fantail. The boats on the after end of the amidships superstructure are served by davits. 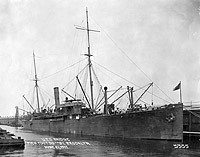 A postcard view of the ship in disruptive camouflage, possibly while serving with the Naval Overseas Transportation Service in 1917-1918. 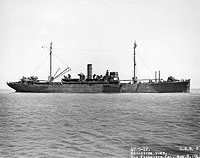 At anchor circa the early 1920s. The ship has been rearmed with 5"/51 guns in shields. 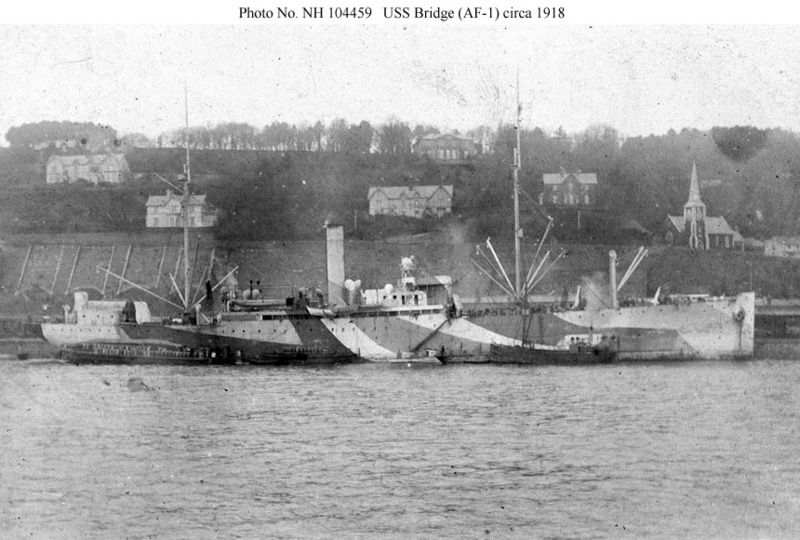 The odd-shaped structure on the forecastle and a similar raised structure aft are probably fire control positions for these guns. The open bridge above the pilot house has been enclosed and other small configuration changes have been made since the early 1920s. 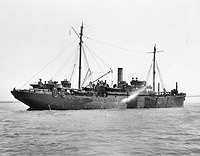 She is displaying a battle efficiency "E" on her smokestack with two slash marks, one possibly in red for the engineers. The after deckhouse now has boat platforms extending to the side of the ship, the boat davits on the after end of the amidships superstructure have been removed, and the 5"/51 guns have lost their shields. 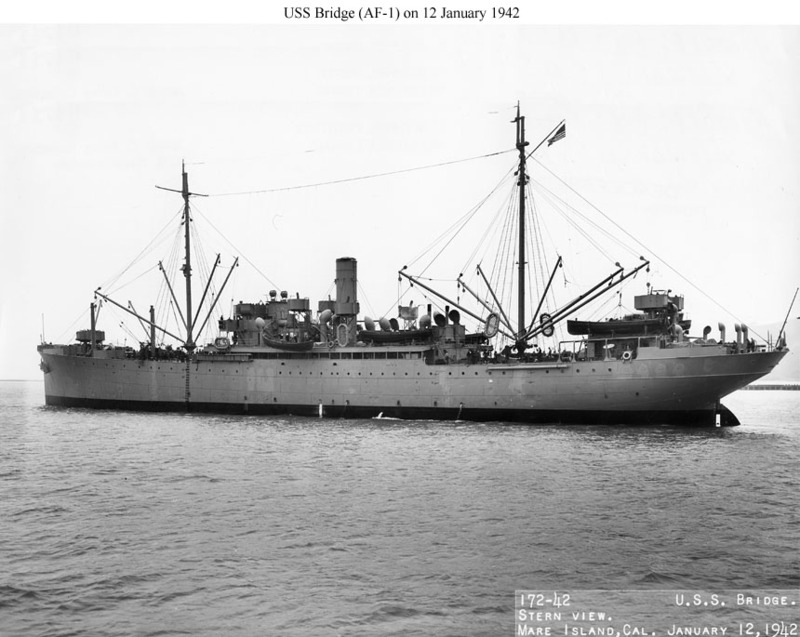 Near the Mare Island Navy Yard on 12 January 1942. 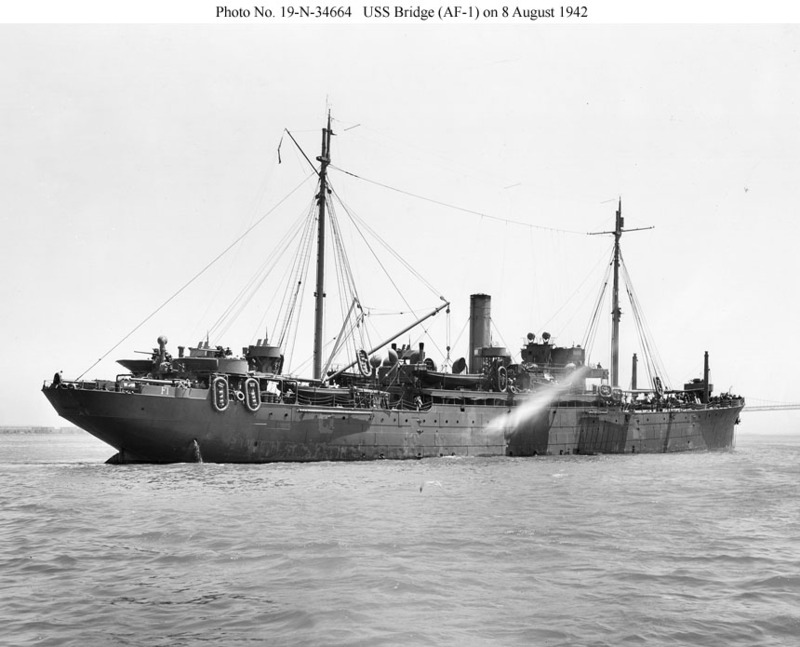 The ship still has its peacetime armament of 4-5"/51 but now also has two 3"/50 guns just aft of the short kingposts forward and raised positions for eight .50 caliber AA machine guns. All of her gun positions have splinter protection (low bulwarks). Near the Mare Island Navy Yard on 8 August 1942. 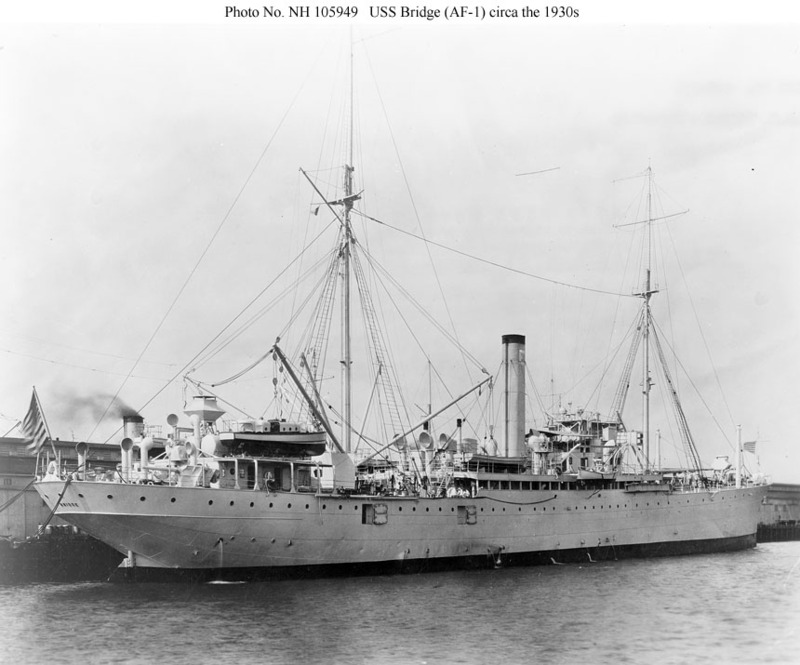 The ship has been rearmed, with the forward 3"/50 guns replacing the forward 5"/51 guns, two 3"/50 guns added aft, and a 1.1" quad AA mount added forward. The .50 caliber machine guns have been replaced with 20mm guns. 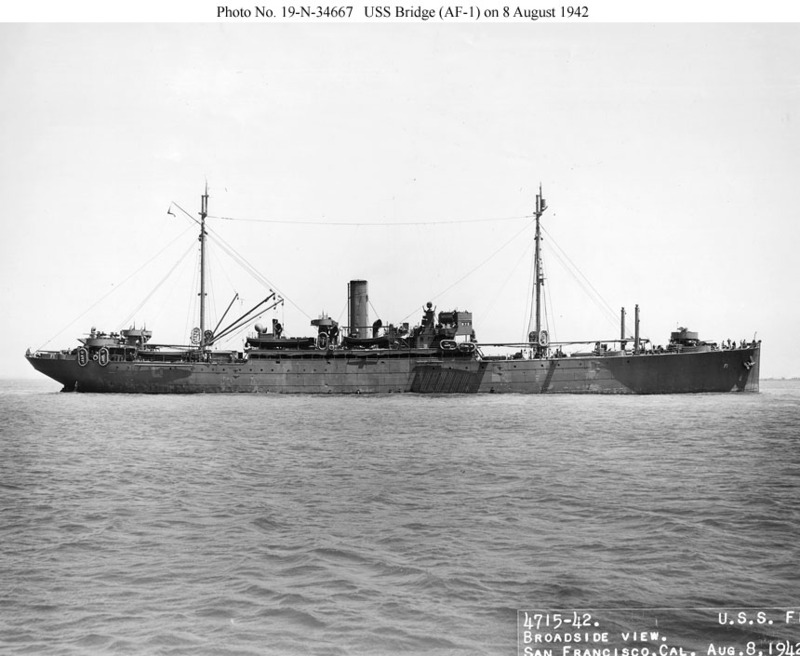 Another view of the ship near the Mare Island Navy Yard on 8 August 1942.